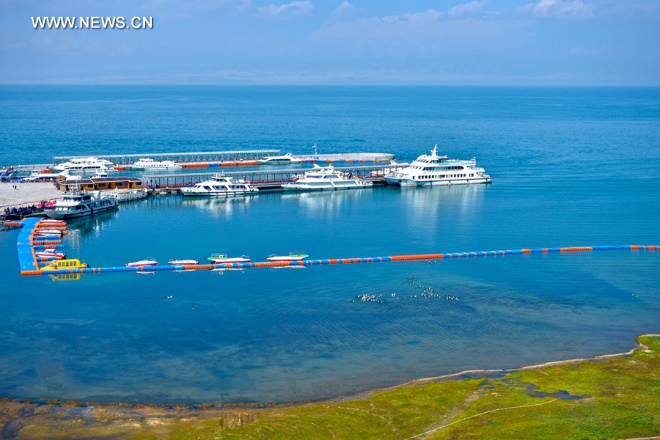 Once again, Qinghai Lake was put under the spotlight as a backdrop for the 2018 “Tour of Qinghai Lake,” the multi stage road race in Asia taking place around here between July 22 and August 4. Behind its spectacular landscape and great harmony between man and nature, Qinghai Lake tells a real-life story about China’s relentless effort of preserving and improving its ecosystem. Qinghai Lake, which is located in the northeast of the Qinghai-Tibet Plateau, is China’s largest inland and saltwater lake and the world’s second largest saltwater lake. It also plays a key role in preserving the local ecosystem and preventing desertification expansion.